Juliane Schaefer creates poetically and sensitive textiles for interior and fashion, even with a breeze of originality. She loves the litttle nuances and details in everyday life and tries to transform them into her textiles. In October 2012 she graduated in textile- and surface design at Weißensee Kunsthochschule Berlin. She is interested in experimenting with materials, combining and playing with different media from traditional and contemporary crafts, working with colours and textures, patterns and prints. She gained an insight into the fashion world during an internship at the”wunderkind” label by Wolfgang Joop. 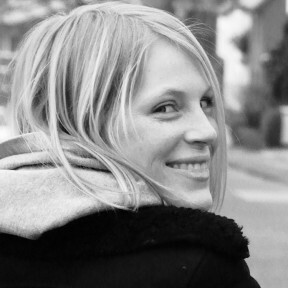 Since 2003 she has been a freelance camera assistant for the national German broadcaster ZDF and an assistant set designer for several film and television productions. Her work SAKURA was awarded 2011 from IKEA-FOUNDATION. The same Foundation sponsored her Diploma YARN QUARTET as well. 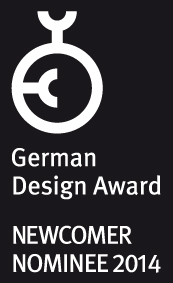 She is nominated for German Design Award “Newcomer Nominee 2014″.